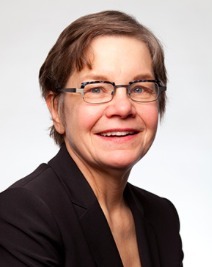 Dr. Susan P. Steigerwalt, MD, is the director of the hypertension clinic at St Clair Specialty Physicians and a member of the division of nephrology and hypertension at St John Hospital in Detroit, Michigan. She is also a clinical associate professor at Wayne State University. Her formal certifications are in internal medicine (ABIM), nephrology (ABIM) and Hypertension (ASH). Her particular research interests include the use of cognitive behavioral interventions to improve adherence in hypertensive women, resistant hypertension, primary aldosteronism and role of aldosterone in progression of kidney disease. She is delighted to be a St John site Principal Investigator for CRIC. My choice for usable guidelines for the real world are the ASH-ISH guidelines and the AHA-CDC-ACC guidelines on systems approach to blood pressure control. Both are short, succinct and available on line, free of charge. Click here to view all eAJKD content about NephMadness 2014!